Robot Awareness: Part III is here! It’s out! 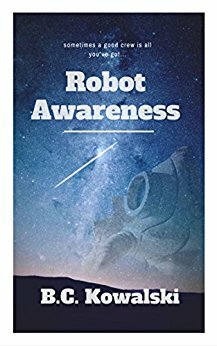 As of early evening on Christmas, Robot Awareness: Part III is available on Amazon! That leaves one more part to be released to complete the first arc. Then the crew heads to the Inner Circle for the final four parts of the Robot Awareness series! Hope everyone had a great holiday! I’ve been on an 80s film kick, as you might have noticed, and have plenty more cultural topics to blog about soon! Also, I’ve been on a writing kick, with more ideas than I have time for, but expect some new types of work soon! Previous Robot Awareness Part III coming in time for Christmas! Sounds quite interesting! I will send an email to you shortly and would be happy to share a review upon completion. Thank you! That sounds great! Be sure to let me know which one you would like – I can send you Part I if you like so you can catch up.